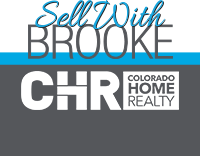 Amazing home in Castle Rock on a 1 / 3 acre park like yard with a cul-de-sac location! This home boasts 4 bedrooms upstairs. The large master bedroom has its own private bathroom with a double vanity sink and shower. The other 3 spacious upstairs bedrooms all share a full bathroom. The main level entry is vaulted and welcomes you into the home. The entrance has a front living room and dining area for special occasions. The kitchen is large and has a real pantry to house all of your cooking goods. The kitchen also has dining nook for the less formal meals. The 2 story vaulted family room is not only grand but contains a gas fireplace to keep the chill out on those winter evenings. A half bath and laundry room finish off the main level. The basement is large and ready for your wishes to finish. The backyard is like a park. You will be able to enjoy almost any activity in this spacious yard. This home is waiting to be your home!